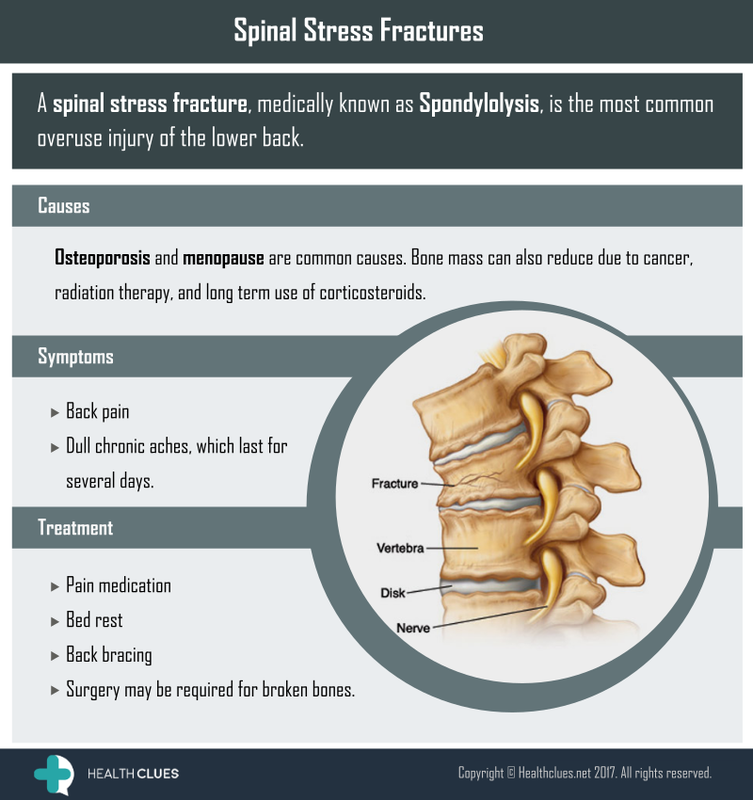 Spinal fracture, also known as the spinal stress fracture, is when a single or multiple bones in the spine collapse. Osteoporosis and menopause are common causes. Bone mass can also reduce due to cancer, radiation therapy, and long-term use of corticosteroids. Symptoms include back pain, dull chronic aches, which last for several days. Treatment involves pain medication, bed rest, and back bracing. Surgery may be required for broken bones. General, Infographics bone density, bone thinning, menopause, osteoporosis, spinal health, Spinal Stress Fractures, spine, spine arthritis, spine conditions, spine health, spine surgery, vertebral column, vertebral stress fractures. permalink.